No matter what major brand of refrigerator you have (Samsung, Whirlpool, LG, GE, Frigidaire, Kenmore, Maytag, etc.) you can replace the factory filter that comes with your appliance with a universal inline water filter. How do I save money on refrigerator water filters? The cost savings on an inline water filter vs. a factory water filter is staggering! A factory water filter needs to be replaced about twice per year. Frigidaire water filters range from $30-$45 per filter. So you are spending about $60-$90 per year to replace your factory water filter. Samsung water filters range from $40-$50 per filter. Again costing $80-$100 per year. However, an inline universal water filter comes in two forms: A one-year or five-year filter. 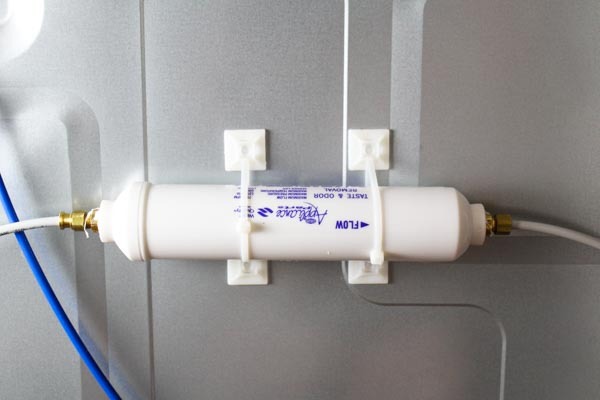 A one-year inline water filter costs about $10. A five-year inline water filter costs about $40. So how about spending only $10 per year for a one-year filter, or about $40 for a filter that lasts FIVE YEARS for filters that works just as good as the factory filters. It's a no-brainer, right? What's awesome about Pandoras OEM is we have put together kits for replacing your inline water filter to make the process easy for you. Plus below we created a detailed step-by-step video to show you how to do it yourself and save even more money....YEAH! Once you purchase the kit, you can reuse all of the above items (except the water filter) every time you need to replace your inline filter. Do I also need to buy a bypass? A bypass is a factory-made part that will allow the water to run through the door or to the ice maker without the factory water filter. Most units require a bypass, however some don't. We created a step-by-step video for a Samsung refrigerator that did not require a bypass. So how do you know if your refrigerator needs a bypass? You will know based on your model number or part number of the factory filter. You can usually do a search online to see if the model or part number needs a bypass. However, you can also contact us at support@pandorasoem.com or gives a call at 615-603-7346, Monday-Friday 8:00-5:00pm CST. One more option for testing to see if you need a bypass is to run a test on your fridge yourself. However, use caution with this approach as you will be dealing with a bit of water, only about 1/4 cup or so, but possibly more. Simply have some paper towels or a regular towel ready to soak up excess water if needed. First, keep the water on to the fridge. 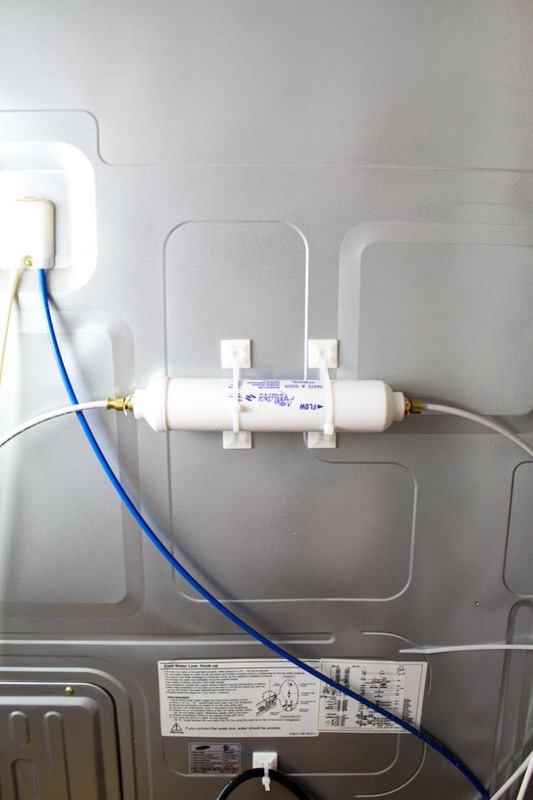 Find where the factory water filter is located, usually inside the fridge or the bottom of the fridge in the front. Remove the filter. Once you remove the filter, make sure you have no more than 1/4 cup or so that comes out. If it continues to leak or drip out of the filter housing after removal, then most likely you have a defective filter housing and you will need to either reinstall the filter, or turn the water off. If your filter housing is defective, it will need to be replaced before you install a bypass. If you have the removed the water filter and you have found that you only have 1/4 cup or so of water that comes out and it doesn't continue to drip, now you are ready to run the test. Grab a pitcher or extra large cup that you can fill up. Put the pitcher where you fill up your water in the front of the door. Try to fill up two whole pitchers-worth of water. If you don't lose pressure, and both large containers fill up with no obstruction, then you don't need a bypass. However, if you can't get any water out of the door or you lose water pressure, then you do need a bypass. Now that we have that part covered, we are ready to install the inline water filter! We hope you found this tutorial helpful and inspired you to save tons of cash every year and still keep your drinking water safe for yourself and your family! Pin this blog post to your Pinterest boards! Next article How to Fix a Samsung Ice Maker | ANYONE Can Do It!